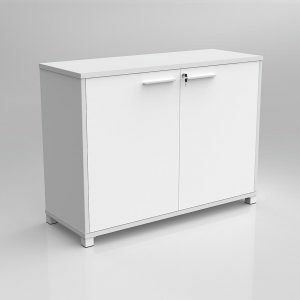 Axis Credenza storage. 900mm high x 1200mm wide x 400mm deep. 25mm top and base, 18mm carcase, flush joined construction, fits two levels of A4 filing. 2 hinged doors. Set on powdercoated steel feet with levelling glides. 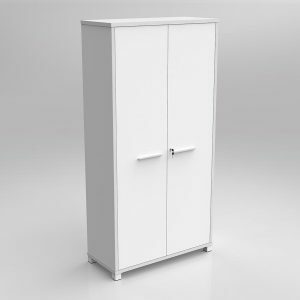 Axis Cupboard storage cabinet. 1250mm high x 900mm wide x 400mm deep. Studio white 25mm top and base, 18mm carcase, gang locking, flush joined construction, fits three levels of A4 filing. Set on powdercoated steel feet with levelling glides. 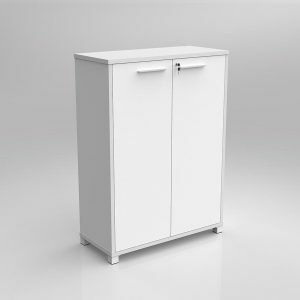 Axis Cupboard storage cabinet. 1800mm high x 900mm wide x 400mm deep. 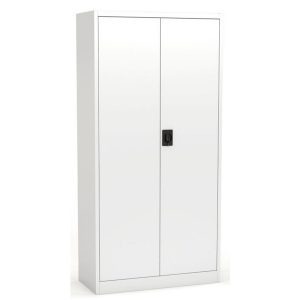 Studio white 25mm top and base, 18mm carcase, gang locking, flush joined construction, fits five levels of A4 filing. Set on powdercoated steel feet with levelling glides. 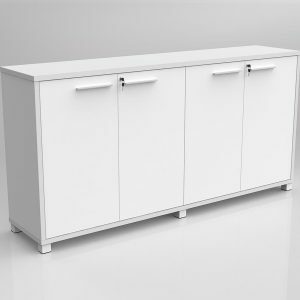 Axis Credenza storage. 900mm high x 1800mm wide x 400mm deep. 25mm top and base, 18mm carcase, flush joined construction, fits two levels of A4 filing. 4 hinged doors. Set on powdercoated steel feet with levelling glides.